Optional power solutions and module locations available. 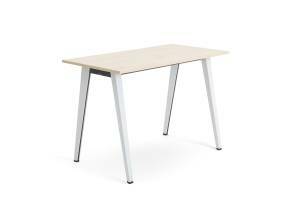 Steel leg tables include integrated wire manager and cover in the leg. 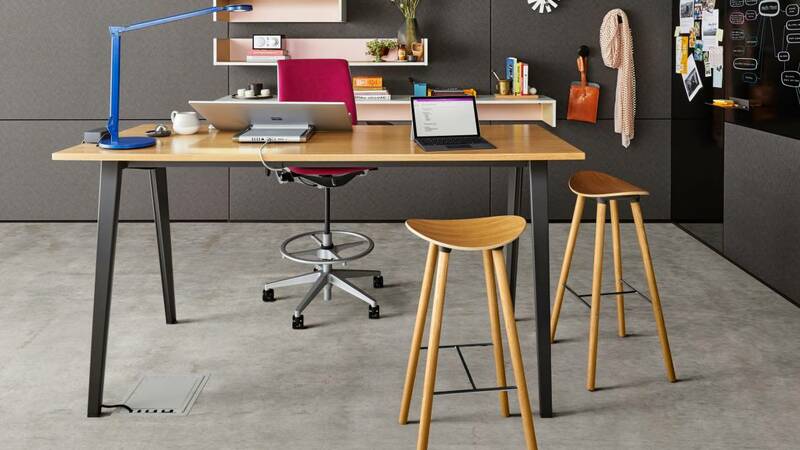 For wood leg tables, cable riser is available. 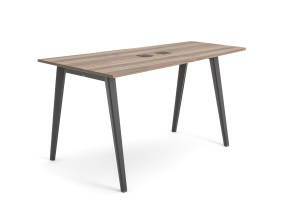 Available in High-Pressure laminate, Open Line laminate, Wood veneer or custom stain. Available in powder coated steel or stained wood.